What we do not picture is a woman surrendering the contents of her paycheck to her abuser every week, effectively building a prison from which she cannot afford to escape. We do not picture a woman spending her afternoon cleaning her own blood from the tiles of her bathroom. We do not picture a woman whose first thought upon waking is not about laundry or retirement funds or even the meaning of life, but rather: Is today the day that he’ll kill me? We do not picture her sister’s swaying knees and white knuckles gripping the counter as she tries to process the voice on the other end of the phone telling her that her sister is dead because, yes, today is the day that he finally did. We do not picture her children. We do not picture it because we cannot fully fathom it, and yet, more than 18,000 women have been murdered by their intimate partners in the United States since 2003. On a spring day in 2005, Heidi Markow received that call – the one that informed her that her brother-in-law had shot and killed her sister Robin. Between 2001 and 2012, there were more women killed by their intimate partners than troops killed in Afghanistan and Iraq. 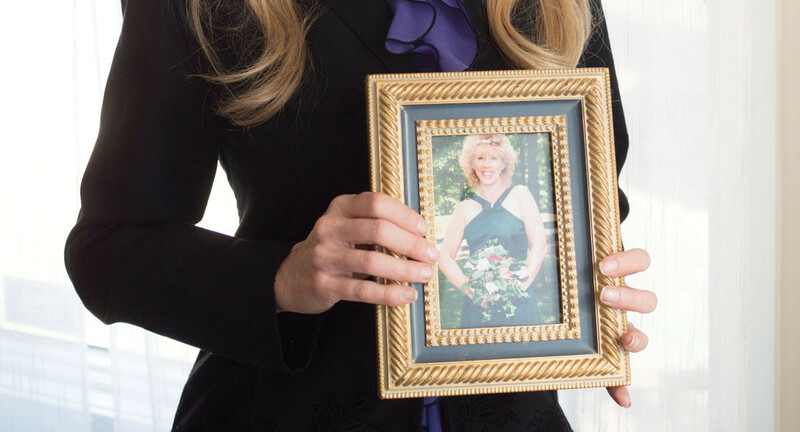 Instead of succumbing to grief from the horrific loss of life, Heidi pledged to make a difference in the lives of survivors of domestic violence and their family members, ultimately deciding to create Beginning Over, an organization devoted to this cause. “It’s my mission to meet the unmet needs of teaching the community about what happens beyond domestic violence,” she says. “There is more to domestic violence than a shelter or a restraining order.” In 2006, serendipitously on her sister’s birthday, Heidi received a stamped letter declaring that Beginning Over was officially a non-profit organization. Since then, Heidi has been helping people whose lives have been ravaged by domestic violence, an occurrence that affects 1 in 4 women. For mothers who manage to leave their abusive situations, another hurdle awaits them – gaining custody of their children. “Over seventy percent of the time in child custody cases where domestic violence is involved, the courts hand over sole custody to the abuser,” Heidi says, explaining that these women are at an enormous disadvantage in the judicial process. Not only do they often appear unrepresented in court because their spouses control all of the money, but their abusive partners paint their trauma and stress symptoms as mental illnesses. Heidi, who currently helps women navigate the court process, is actively seeking attorneys who will represent survivors of domestic violence in court custody cases at reduced rates or as pro-bono. Heidi also owns a beauty salon in Easton, Purple, which provides free services to survivors of domestic violence in order to prepare them for court appearances and job interviews so that they are able to “look and feel their best,” she says. “When you’re a survivor of domestic violence, going on a job interview is the first step of rebuilding your life.” While Heidi assists women in rebuilding their families, identities, and lives, that is merely a peak at Beginning Over’s expansive work. More than that, she hopes Beginning Over will eventually expand to include a residential treatment facility designed specifically for children of domestic homicide, which would be the first of its kind. She envisions the facility to offer 30-day programs with on-site professionals to help children heal and eventually thrive, as well as the chance to bond with other children who have also lost their mothers and families to domestic homicide. To learn more about the Beginning Over Foundation and its new programs beginning in March, e-mail Heidi Markow at [email protected].